Bonobos are the last species of great ape to have been discovered by scientists and as a result much less is known about these majestic animals. Despite their peaceful nature, bonobos are in dire need of help and rely on a PASA member center for protection and sanctuary! 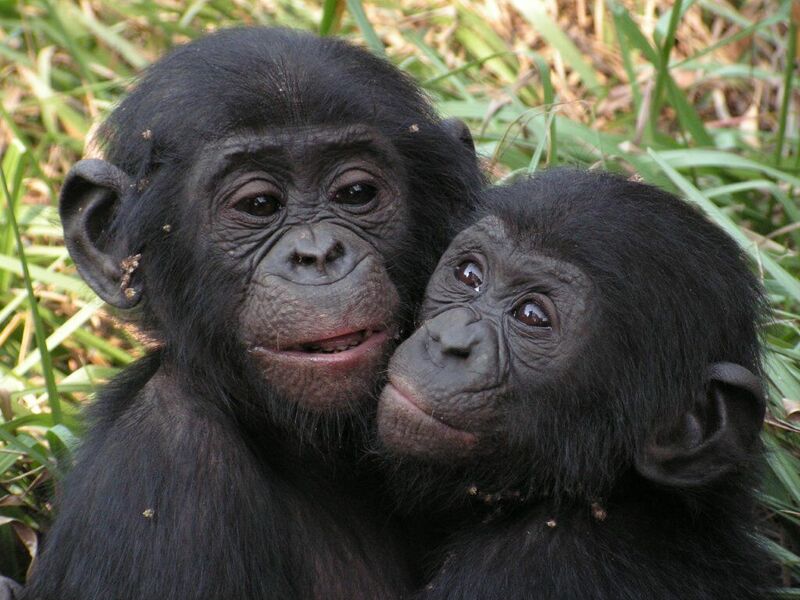 Though similar in appearance to chimpanzees, bonobos are a separate species of gentle, intelligent apes. Like chimpanzees, they too share more than 98% of their DNA with humans. Bonobos live only in the rainforests of the Democratic Republic of Congo, a country afflicted with major political and civil unrest. Due in part to the country’s conflict, exact population numbers are unknown, however, scientists estimate as few as 30,000 bonobos still exist in the Democratic Republic of Congo. Bonobos have a very low reproductive rate and that along with the decline in the species over the past 30 years has lead scientists to conclude that the species is at risk of extinction. The IUCN predicts that in the next 45-55 years, the total decline in the species’ population could exceed 50%. Bonobos live in large family groups and form very close bonds with each other, and are known for being more egalitarian than chimpanzees. Males in the groups stay with their families and the females will migrate to other groups during adolescence. They spend much of their time engaging in social behavior and foraging for food. Bonobos are herbivores and like their fellow great apes they’re critical to the regeneration of their forest habitats. Bonobos are able to swallow much larger seeds and nuts than other animals living in the same environment can, and as a result they’re crucial for the dissemination of various plants. In addition to civil unrest, bonobos face a number of threats including poaching for bushmeat, wildlife trafficking, and habitat loss. According to the Wildlife Conservation Society, as a result of these various factors, only about 25% of the bonobos’ original habitat remains viable. 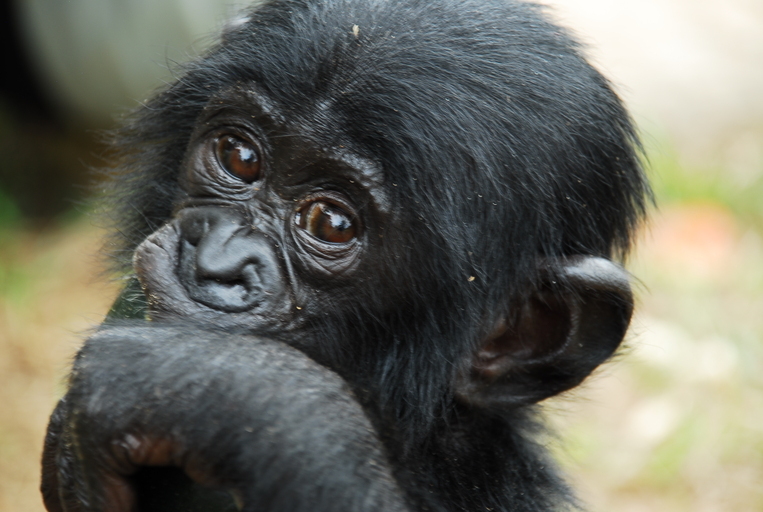 PASA member wildlife center Lola Ya Bonobo is the only sanctuary for bonobos in the world. 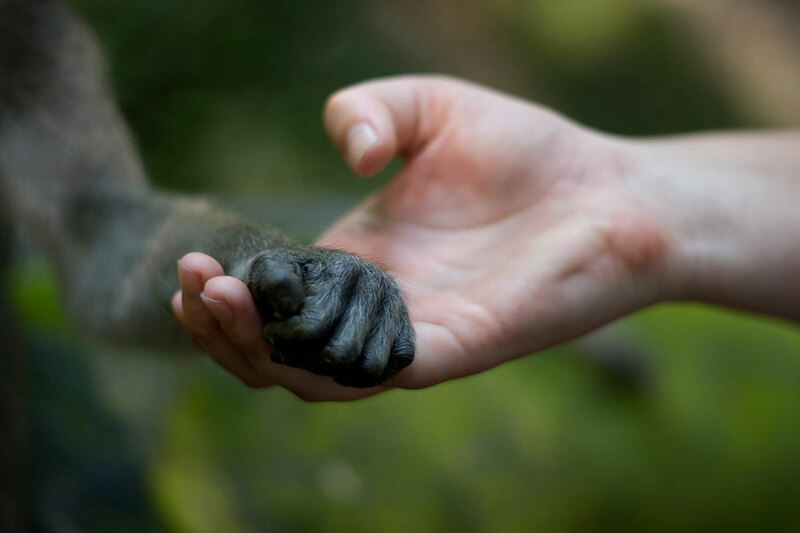 Additionally, Lola Ya Bonobo is the first facility to reintroduce bonobos to their natural habitat. 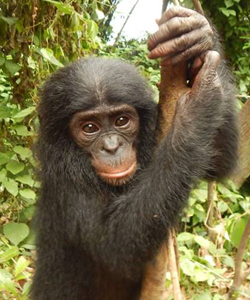 Read more about what you can do to help Africa’s bonobos!